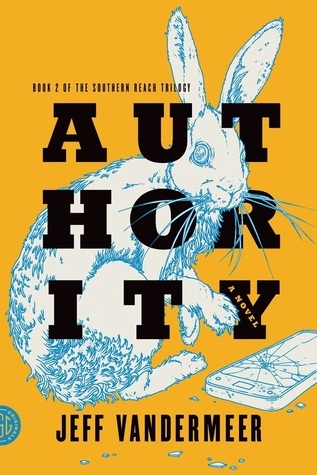 For thirty years, a secret agency called the Southern Reach has monitored expeditions into Area X—a remote and lush terrain mysteriously sequestered from civilization. After the twelfth expedition, the Southern Reach is in disarray, and John Rodriguez (aka “Control”) is the team’s newly appointed head. From a series of interrogations, a cache of hidden notes, and more than two hundred hours of profoundly troubling video footage, the secrets of Area X begin to reveal themselves—and what they expose pushes Control to confront disturbing truths about both himself and the agency he’s promised to serve. I like that VanderMeer doesn’t go with white males in this trilogy—from the women in the first book to a Latino character as the protagonist in this one. In Authority, you start to wonder more about Area X’s wider effects on humans: physical, emotional, psychological? The interviews between Control and the biologist were great, and that ending! No spoilers, but it was a nail-biter and a good cliffhanger setting up the next installment, Acceptance (which I have, hoping to get to it by the end of the summer). Authority is not a stand-alone novel the way Annihilation is. This second book is a slow, creeping mystery and (hopefully) a good bridge between the first and last volumes. I wanted this to be as good as Annihilation, but I still can’t wait to dig into Acceptance soon to find out what Area X is really all about. Listened to audiobook on July 8, 2015. This entry was posted in books and tagged audiobook, dystopia, fiction, mystery, nature, psychological thriller, science fiction, speculative fiction, thriller by kristin @ my little heart melodies. Bookmark the permalink.